This Vedantic composition by Adishankara called the Atama Shatakam encapsulates the timeless essence of the Vedas in a stunningly beautiful rendition by the mystic master Anandmurti Gurumaa. In a terse six verses, Shankaracharya has wonderfully woven a tapestry of thought, stemming from experience so sublime as to render one almost speechless. 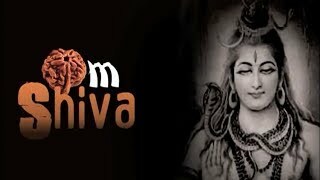 Shiva is the pure consciousness and when we say ‘Shivoham’, we are reaffirming our true nature, our essence, our core – deep inside, we are the pure consciousness; we are not this limited mind, body, senses or intellect, which we think we are. Our true being is as vast and unbounded as the sky, untainted and unfettered - the term Shivoham resonates with this profound realization and proclamation by one of the greatest sages of all time.